Woollyhugs > Latest.. > Auction > Spring Auction 2018 > Item 231) Crafty Helper! This weighted dolly is a fabulous way to keep crafting supplies to hand. She has pockets galore for bits and pieces, hooks etc and her hair is a pin cushion! Super clever! Beautifully crocheted she stands approx 28cm tall. 231) Crafty Helper! This weighted dolly is a fabulous way to keep crafting supplies to hand. 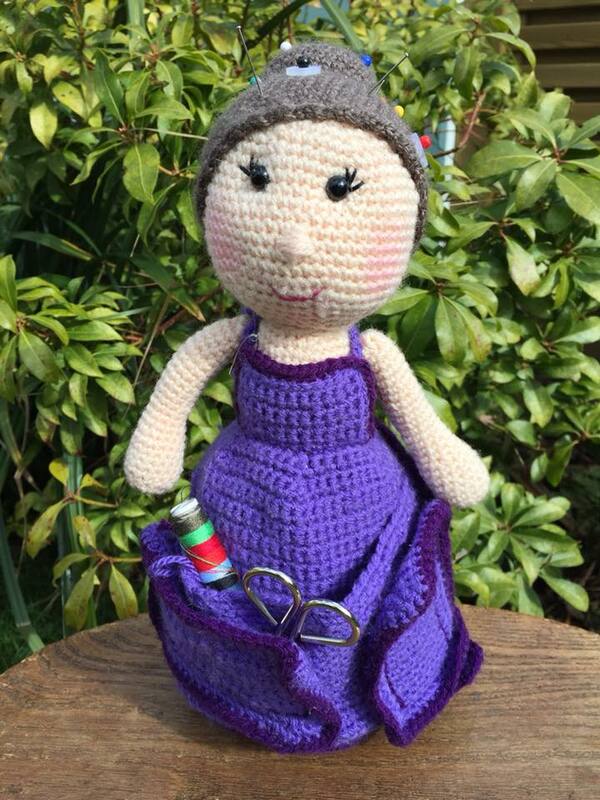 She has pockets galore for bits and pieces, hooks etc and her hair is a pin cushion! Super clever! Beautifully crocheted she stands approx 28cm tall. item name : 231) Crafty Helper! Item 233) Stunningly beautiful. Newborn baby jumper knitted in Cherish baby DK King Cole acrylic.